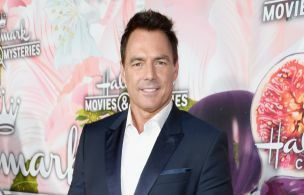 Fans of Hallmark's Home & Family were in for a shock Friday when they announced on-air that co-host Mark Steines had abruptly exited the show. But why? 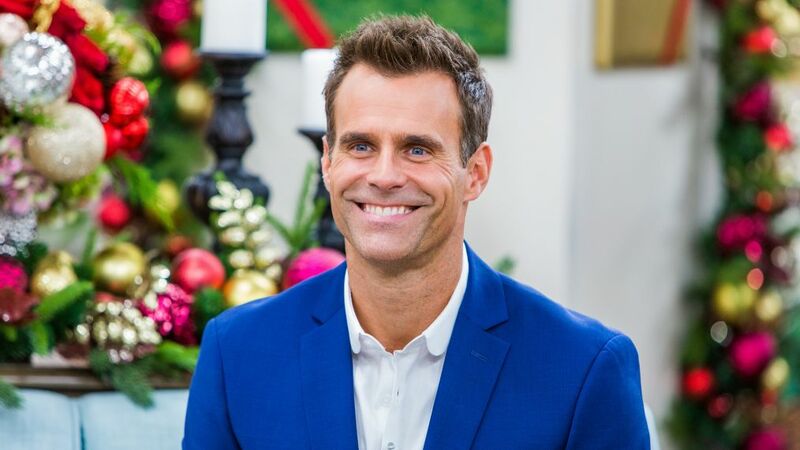 The life and style talk show, which premiered in 2012, has been headed up by Steines since its fruition, and he's worked with three different co-hosts through the years: Trading Spaces's Paige Davis, Christina Ferrare, and latest on-screen partner Debbie Matenopoulos. During Friday's show, Matenopoulos weighed in on Steines' departure hours after the network announced his departure. In a tweet Thursday night, Hallmark wrote, "Today Hallmark Channel has parted ways with Mark Steines as the co-host of the network’s lifestyle series 'Home &Family.' We are extremely grateful to Mark for his incredible work and wish him all the best success in his future endeavors." "I’m here to share some news, and the family has joined me because we truly are a family and while we just had a really great show, we have a very hard announcement to deliver... Our dear friend, our very good friend, and my wonderful co-host for years, Mr. Mark Steines is no longer with Home & Family," Matenopoulos said with tears in her eyes. "He has been an amazing friend to all of us here at Hallmark Channel, the cast, the crew and a wonderful friend to all of you at home as well. And we are grateful to Mark, and we want to thank him from the bottom of our hearts for six of the most incredible years that he has had here hosting this incredible show that he helped build. He really did." "He’s been here from the beginning and a lot of this show has Mark’s handprint on it, so we support him in everything he does in the future, his future endeavors. We will miss him dearly and we will think about him fondly and often and we thank you all at home for your kindness and understanding and your support and for being part of our family everyday." And how they feel about their devoted POstable fan base! This statement has brought up a lot of questions surrounding Steines' mysterious exit, since similar scenarios tend to indicate inappropriate behavior, as was the case with Today's Matt Lauer. Yet, it's clear from the cast's reaction that they're sad about Steines leaving. Hallmark then released another statement to Deadline further explaining the exit, "Shows evolve and change all the time. Mark has been an instrumental part of Home & Family for the past 6 years, and we are extremely grateful for his incredible work and leadership. We truly wish Mark all the best in his future endeavors." But according to Steines' rep, who spoke out Friday, it was actually "creative differences" that spurred this termination of the relationship. "We had had nothing but positive reviews and feedback from Hallmark for the entirety of the time he has been on the show including this year." Of course, its clear that the star was blindsided, but will anymore details come to light? We'll just have to wait and find out.